Want to take your smartphone photos to the next level? 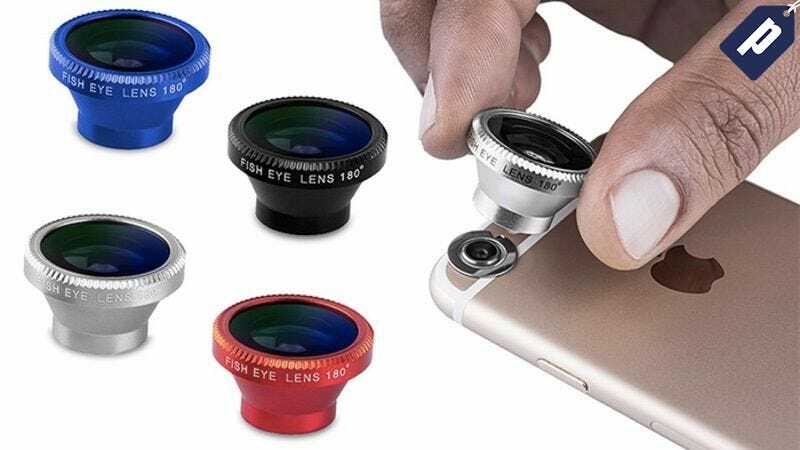 The Acesori 5 Piece Smartphone Camera Lens Kit gets you fish eye, wide angle, and macro lenses fit for any smartphone, letting you take DSLR style photos with ease. Normally $50, Gizmodo readers can pick it up today for just $9.99 with free shipping.